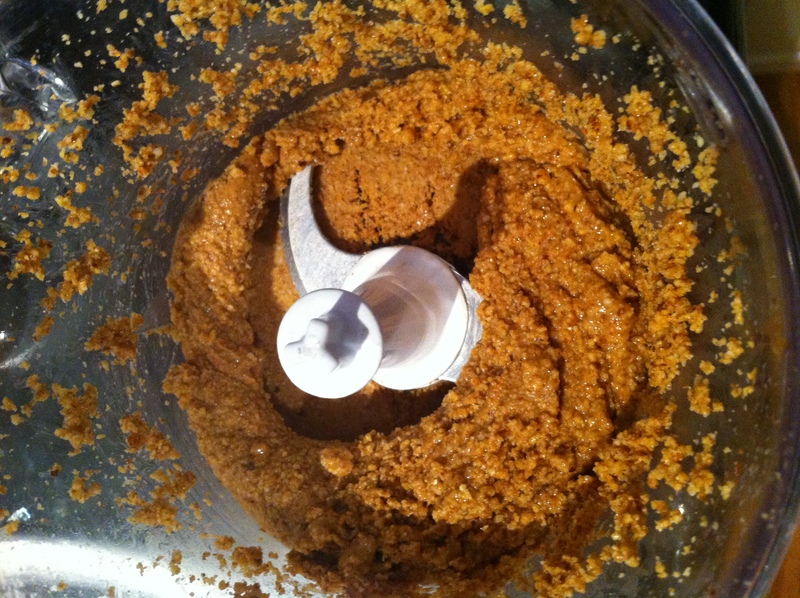 Okay… so you want to know how to make nut butters? With the whole social world going on a health craze it’s only natural that you will want to try a few trends that are making their way around the n-e-t. This includes nut butters! 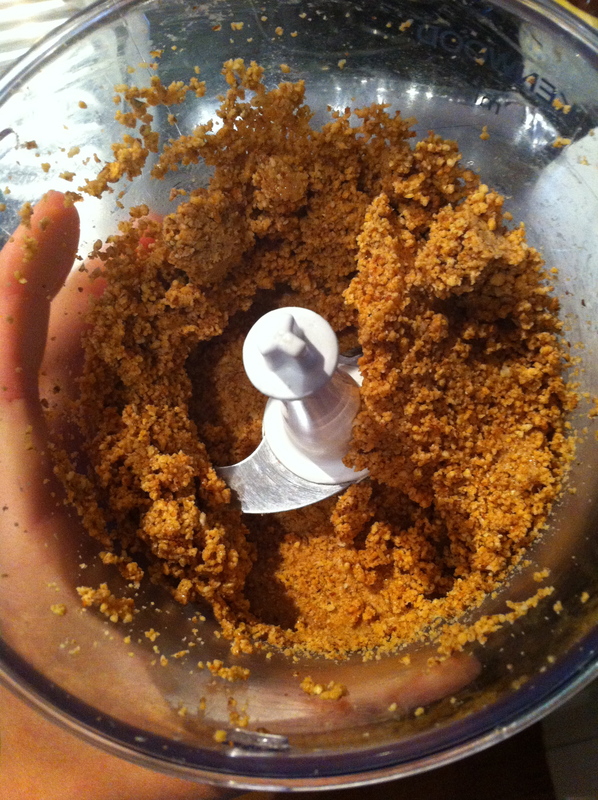 You’ve probably heard of peanut butter and you can make that using this method! It’s also an opportunity to start experimenting with other nuts and flavours. I wanted to make a Nutella-inspired spread but I had no hazelnuts and seeing as I was lazy I did not have any of those, I decided to use almonds since almond butter is a pretty popular choice. Whoops sorry… I’m done rambling…Now onto the method! Also you don’t need coconut butter and I didn’t have it but It can help improve the texture if it’s too thick. 1. Measure out the desired amount of nuts into your food processor, you can blend more than one kind of nut together so get creative! 2. Start blending! This take a while so you have to be really patient. It starts off looking just like almond meal but you will start to see oils after a while. Every minute or so you should open the blender not only to let the food processor have a little break but to scrape down the sides and allow those parts to get blended. 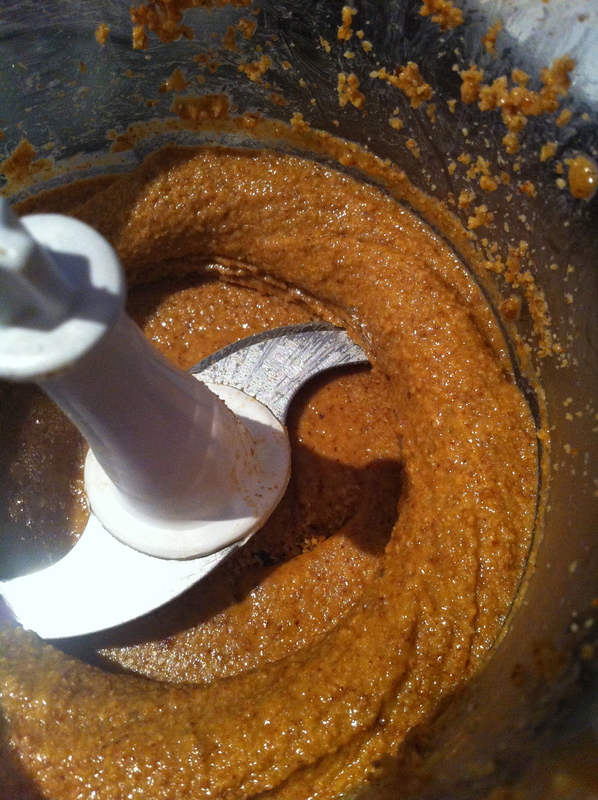 Here’s some photos of how the nut butter should look like as it progresses! 3. Each time you open up the food processor to check on the butter you should use your butter knife to chop it up and spread it around the bowl so that when you turn the blade back on it will chop up those bits! Just starting to become oily- it looks a bit like crushed up biscuits at this point. Like a cheesecake base! Here it is a little later on, now it starts to look a bit more like a dough- maybe cookie dough? Alright when we’re done it should look like this! All smooth. 4. In previous nut butters I’ve made, sometimes when you’re at the dough consistency the nut butter will roll up into a ball as if it were dough. You just have to be patient and open up the food processor and use your butter knife to cut it up and spread it out again. It will eventually stop balling up. 5, Add extra thingies. You can add these at the beginning but for this one I added it at the end. I don’t think it will really matter when you add things. 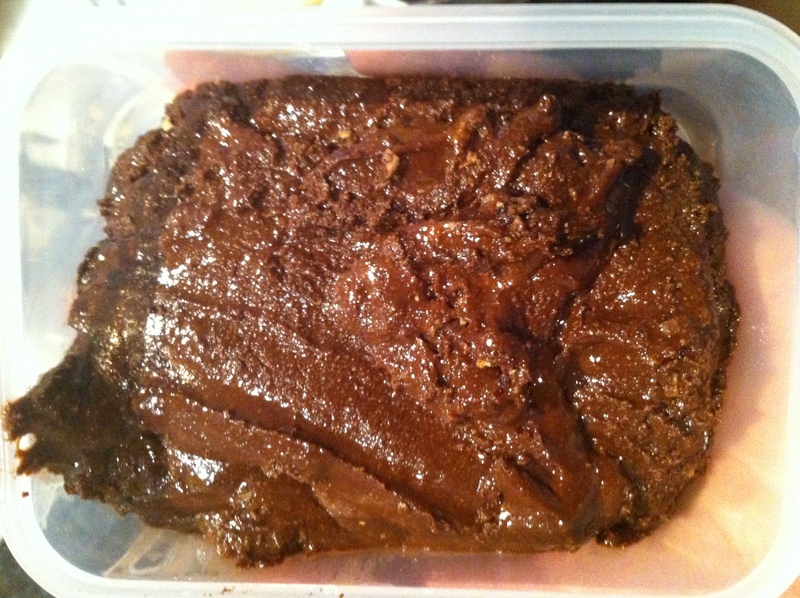 For this butter I added honey, cocoa powder, coconut and cinnamon! 6. Aaand you’re done! You can store these in the fridge (actually you’ll probably want to seeing as there’s no preservatives!). You can now enjoy your very own homemade nut butter in a sandwich or with fruit! Other ways to include it into your meals could be in a smoothie or some sort of stir-fry. Maybe you could even gift it to your friends! This is a great recipe as it is so easy and nut butters are so good for you! 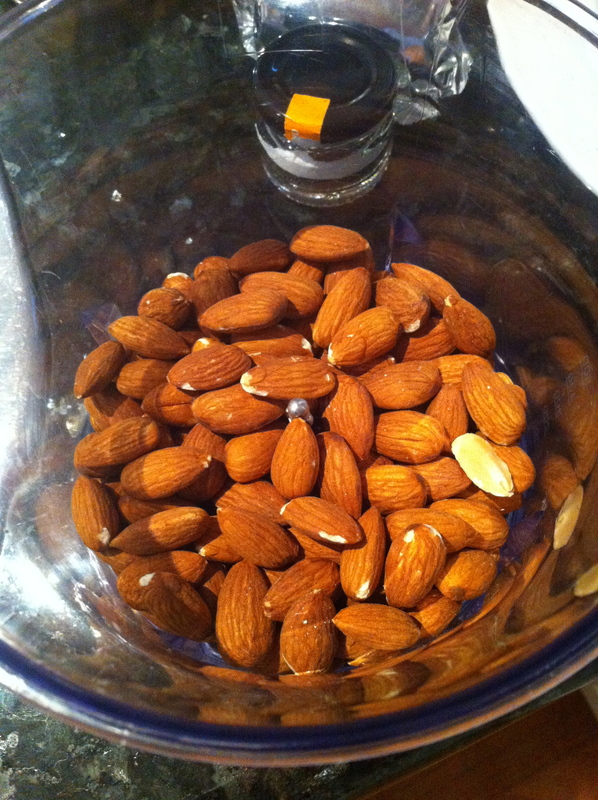 It’s a new and (to me) much tastier way of enjoying the benefits of nuts. The ones I’ve made so far have not been perfect but that means I’ll be trying hard to perfect them! Try it out some time and let me know any combinations you came up with! I’d love to hear them/try them out! 18 year old from Australia. Loves cats. That is such a good idea! I’ll probably make that later today!